“Welcome to my world of Voiceover. What I’ve learned over the years both personally and professionally is that your voice is your biggest asset in life. To be able to use mine for good, to empower, to enlighten, to add sparkle to every project that I touch is truly a blessing. Nothing makes me happier than a brand or radio program director calling for a VO project and loving it so much that they keep wanting more and referring other clients to me. I learned very early on in my career that it is one of the biggest attributes in my media arsenal and I proudly share it every chance that I get! Below is a snapshot of some of my VoiceOver projects and campaigns. For rates and additional information, contact Vanessa at: vanessajamesmedia@gmail.com. 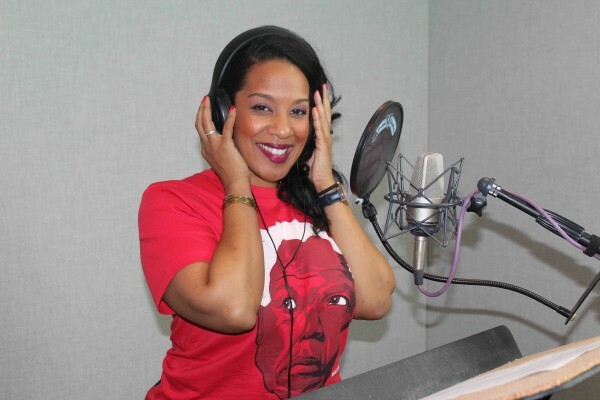 Above are a few of my latest VO projects including Radio Imaging, Television Commercials and work with brands like Visit Barbados, JetBlue and ITunes. Above is my latest JetBlue voiceover I’ve had the pleasure of working with the brand on their Caribbean and Miami based initiatives. How to break into Voiceover? Here's my "How To" on a frequently asked question! My latest Music Release Demo featuring: Kendrick Lamar, Alicia Keys, Pitbull and Rihanna. Travel VO for brands: TripAdvisor, Visit Barbados (English and Spanish) and Digicel. Radio Imaging Demo. Features Include: KMEL, KTU, CFXJ, WGCI and more.